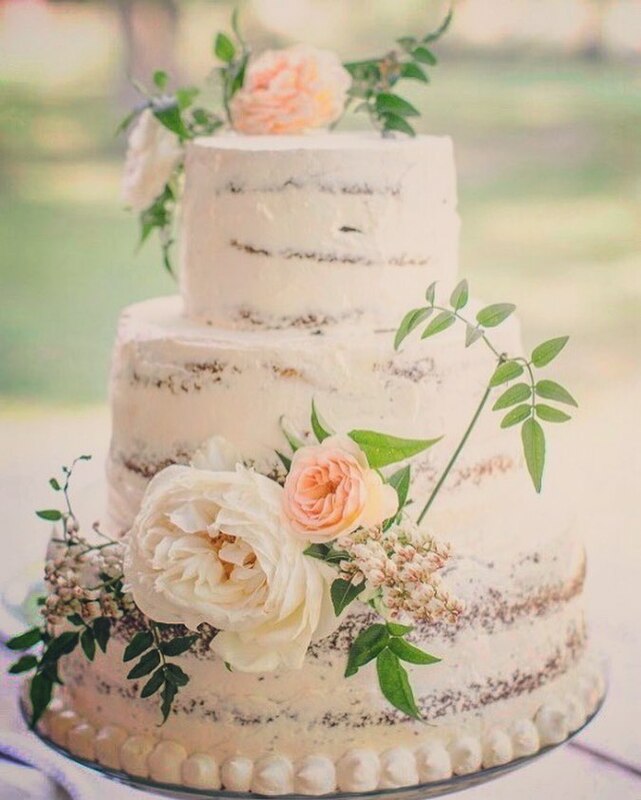 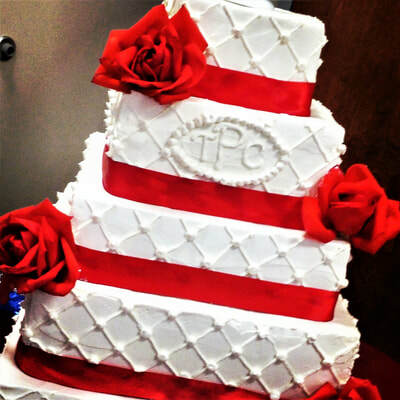 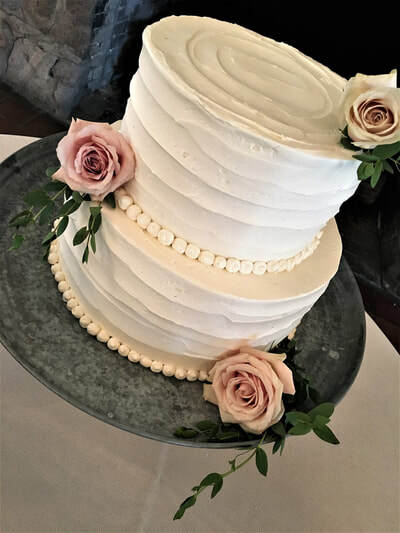 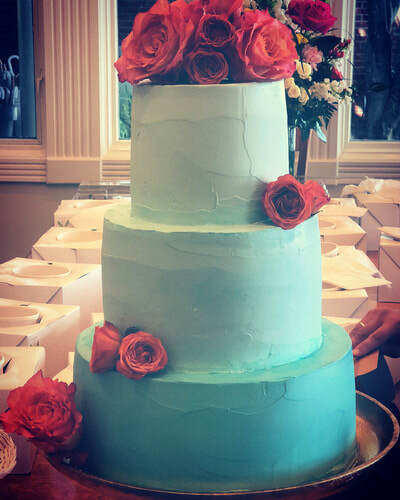 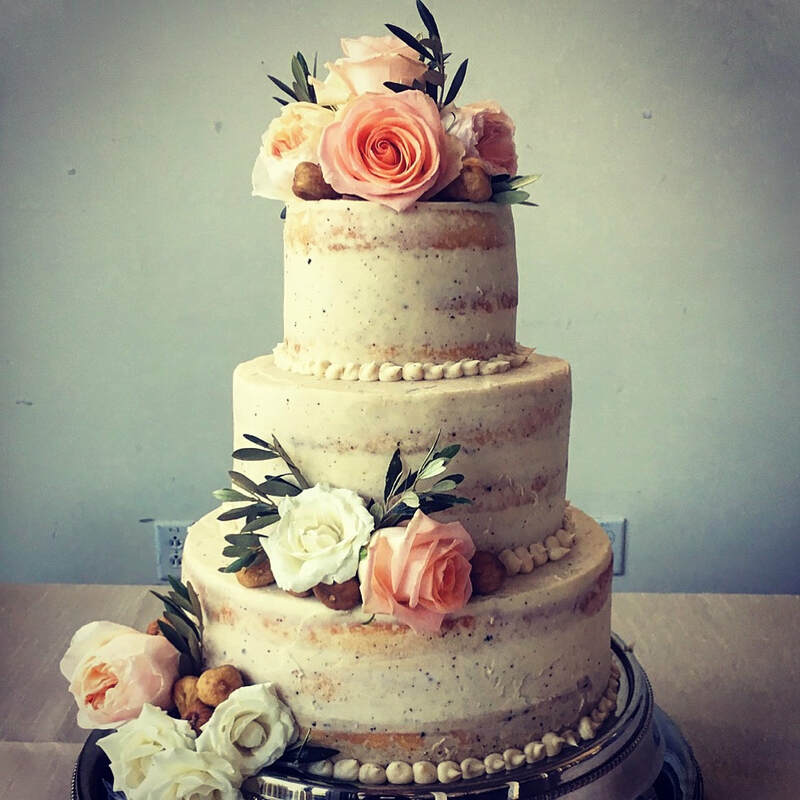 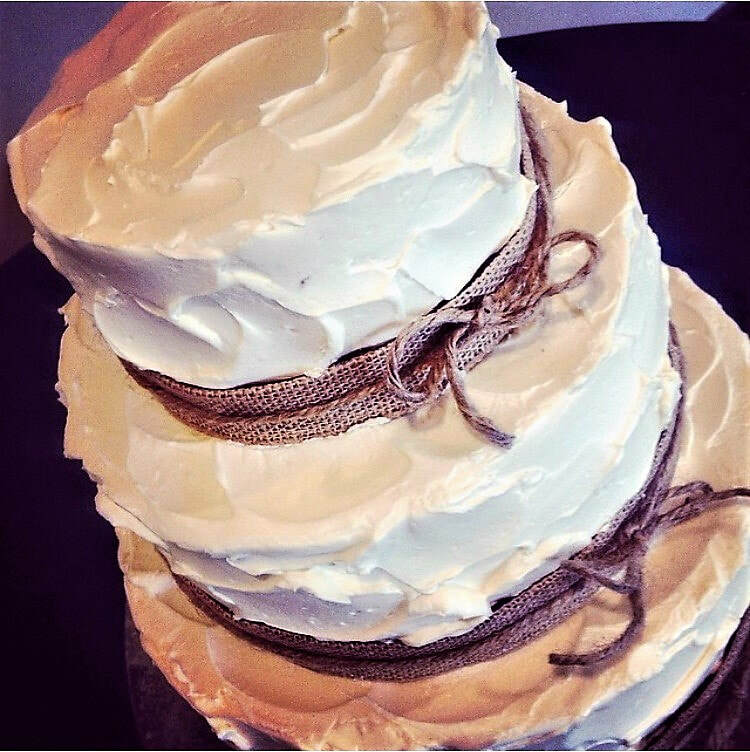 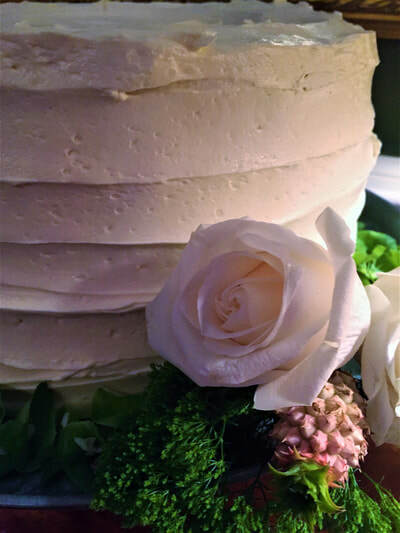 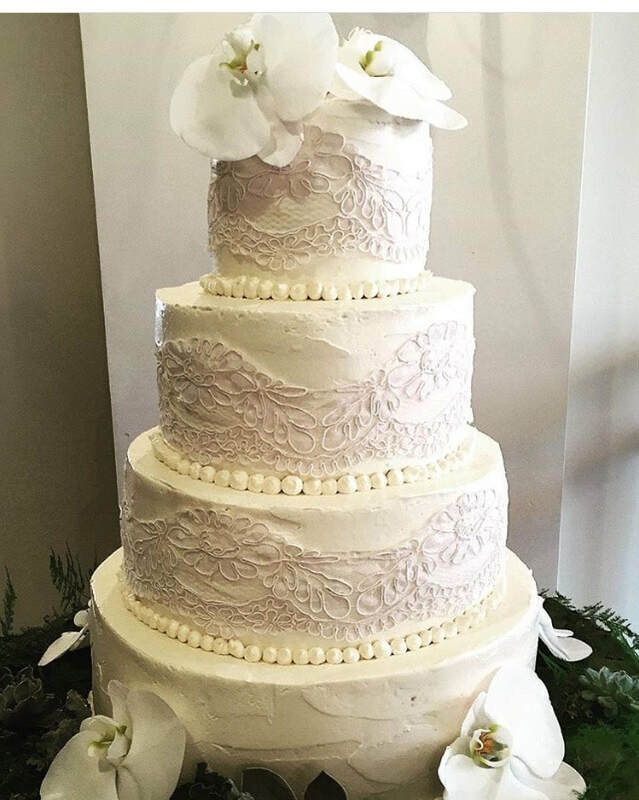 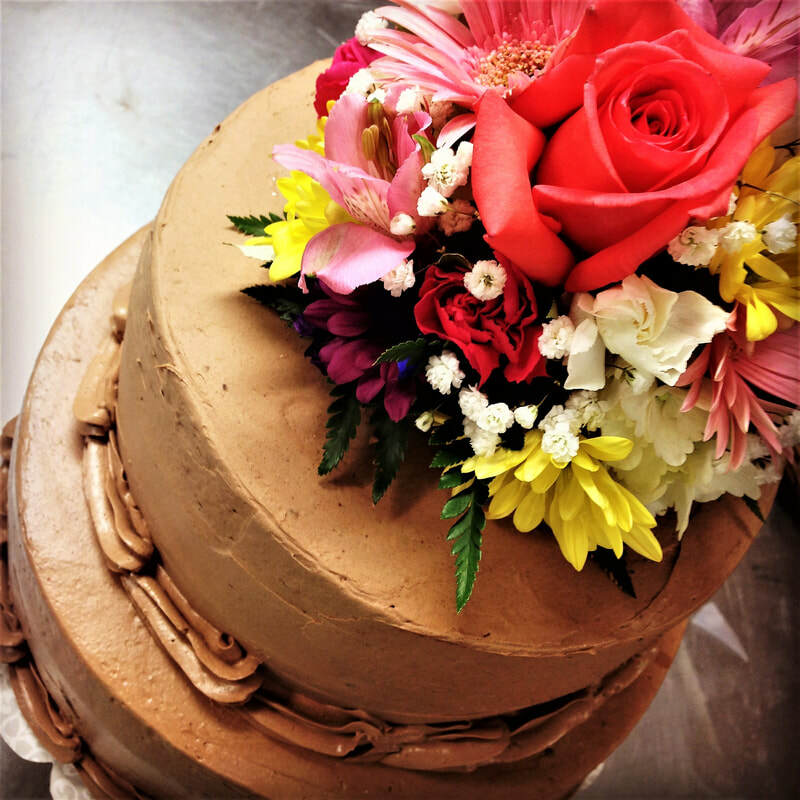 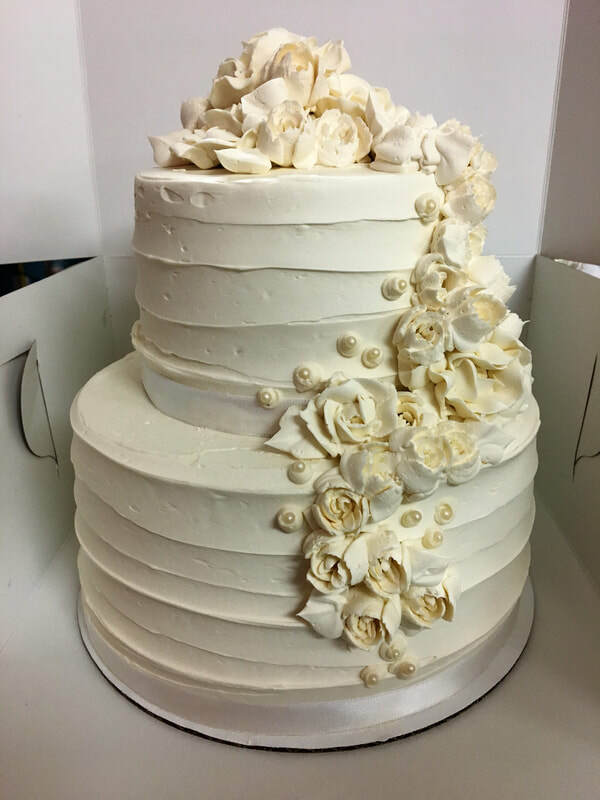 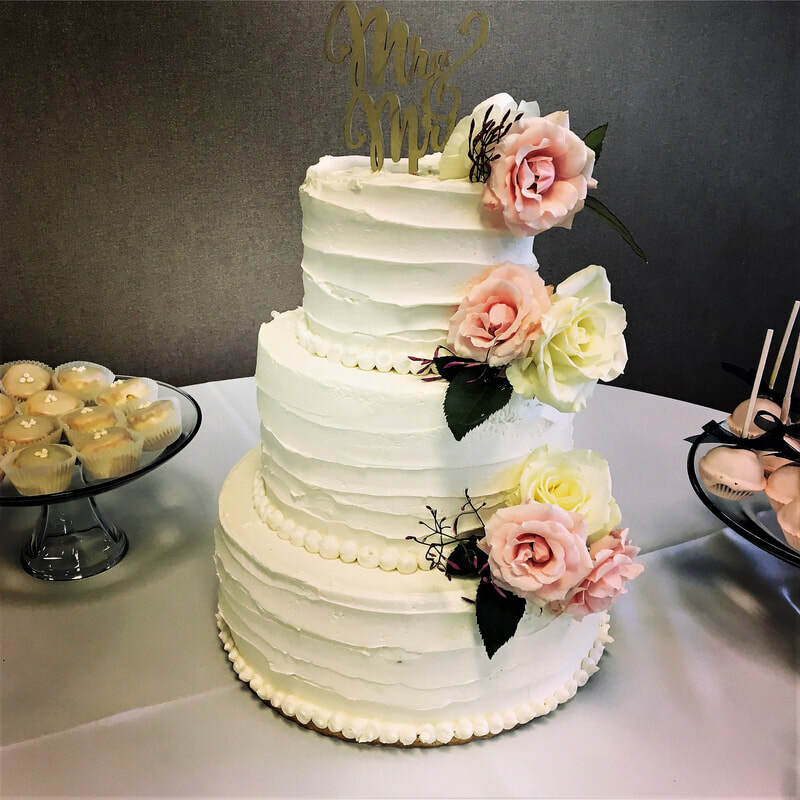 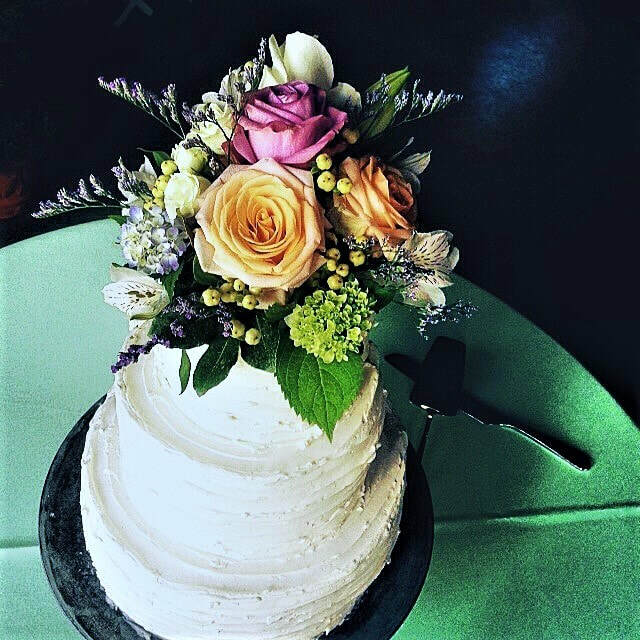 Say "I Do" With A Cake Just For You! 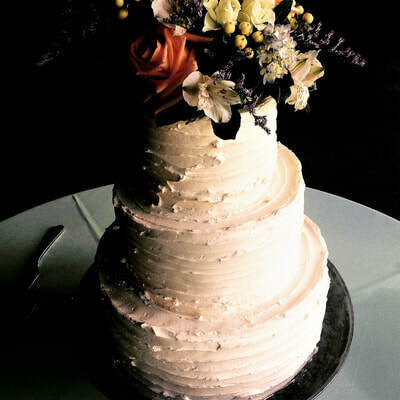 Wedding cakes haven’t been around forever. 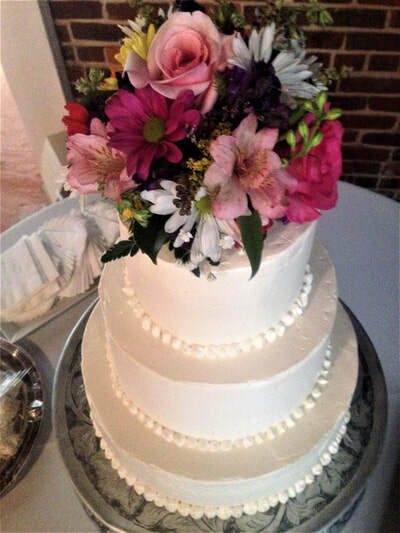 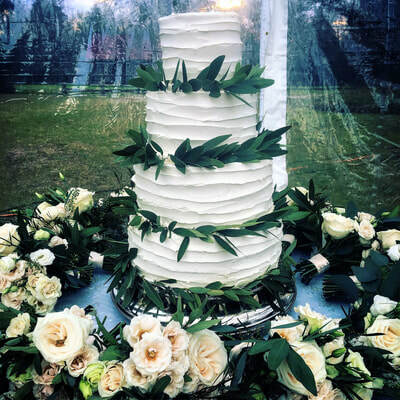 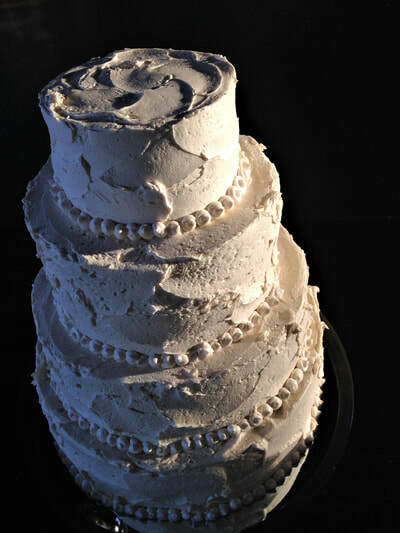 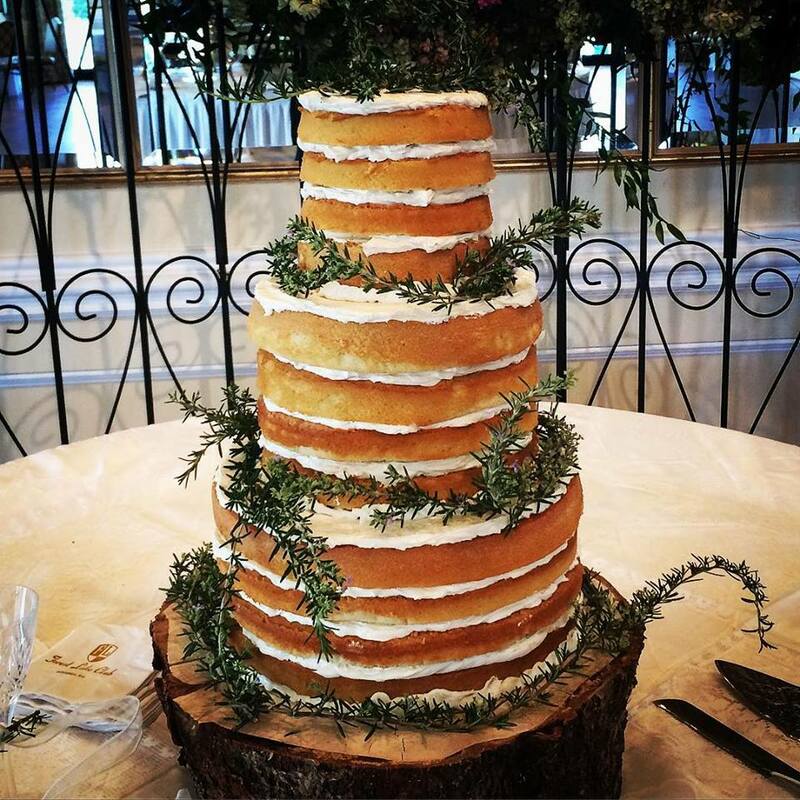 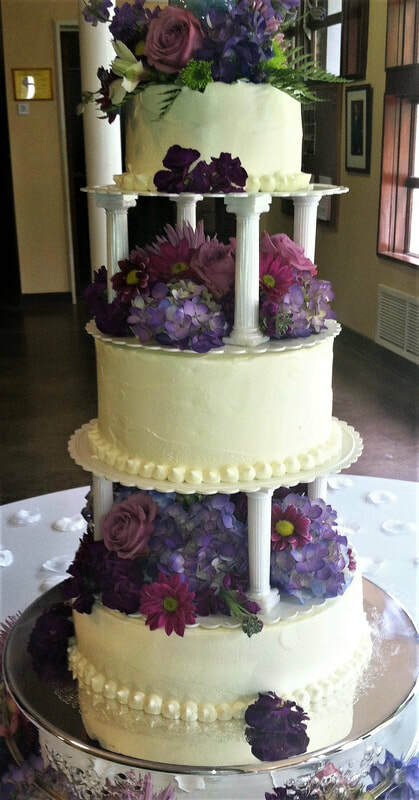 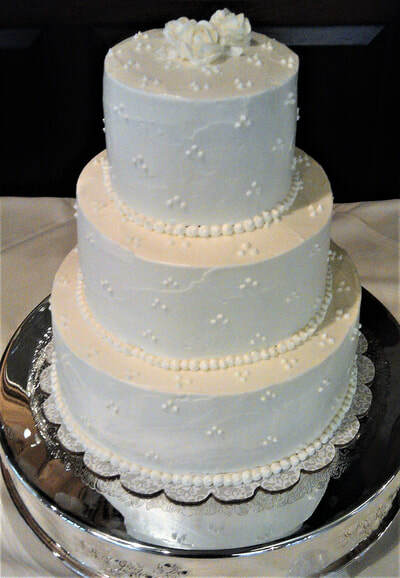 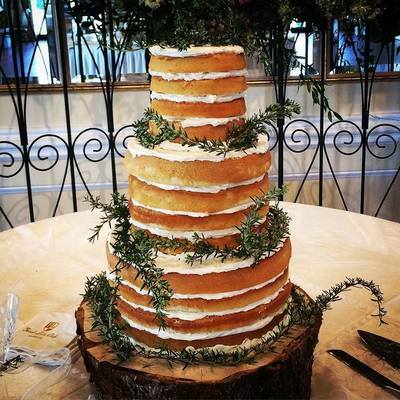 In fact, the oldest “wedding cake” was thought to have made its first appearance almost 2,000 years ago in Rome. 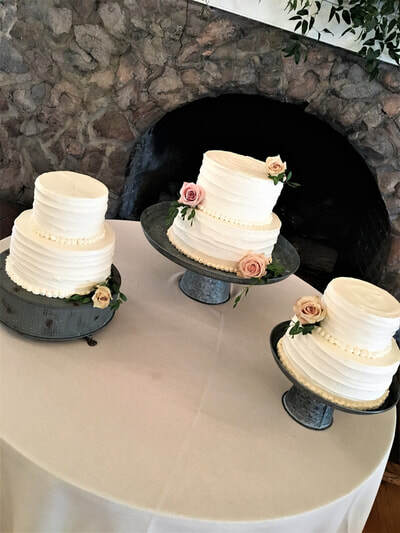 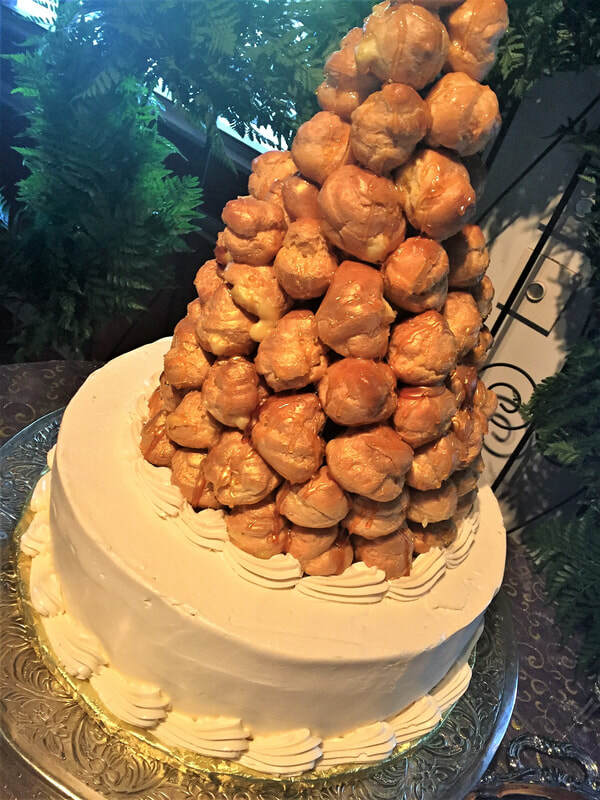 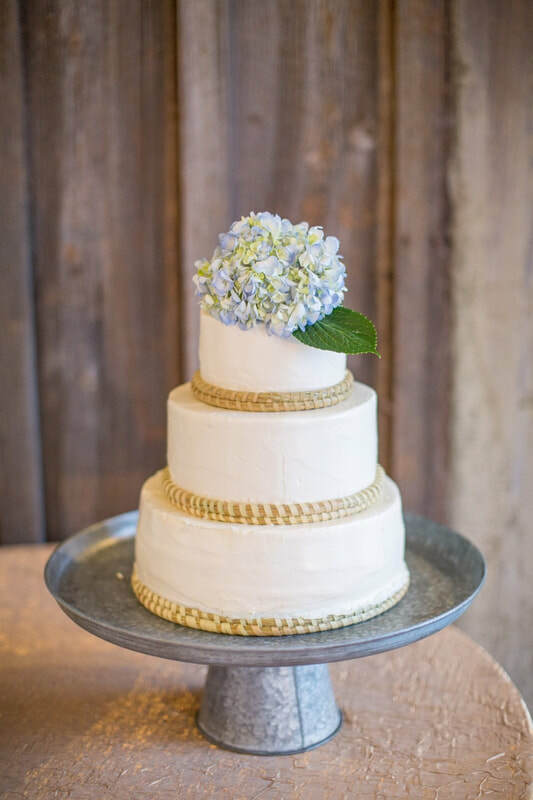 Forget the frosting and pretty decorations, the first cakes served at weddings were more like loaves of bread, and the wedding party would break the bread over the bride’s head for good luck! This tradition continued for hundreds of years, slowly evolving into stacking loaves of bread and putting lard (ew) as icing on them. 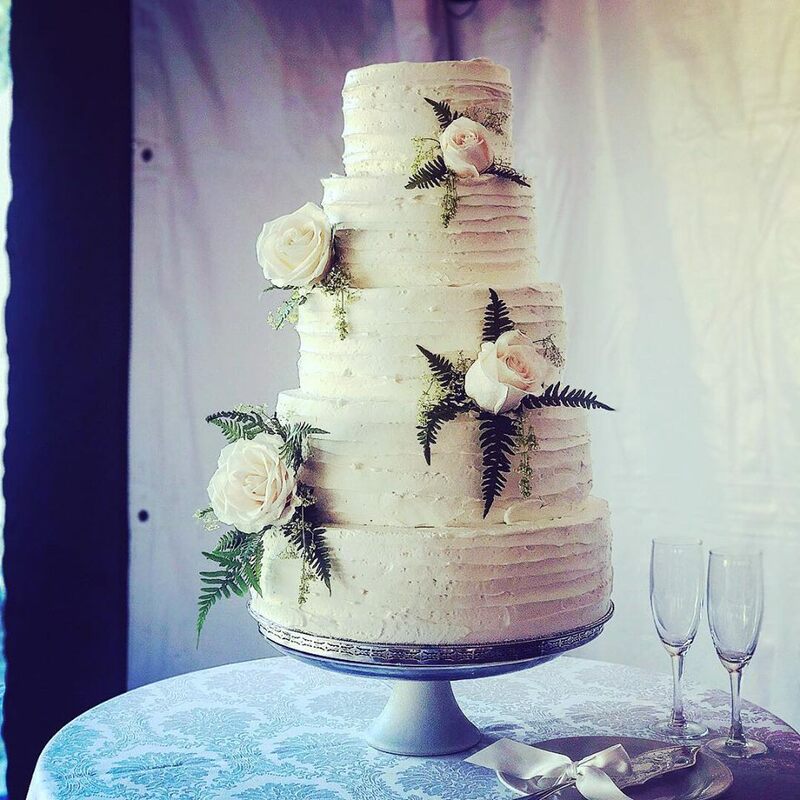 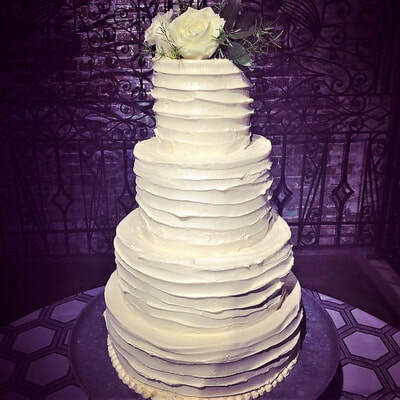 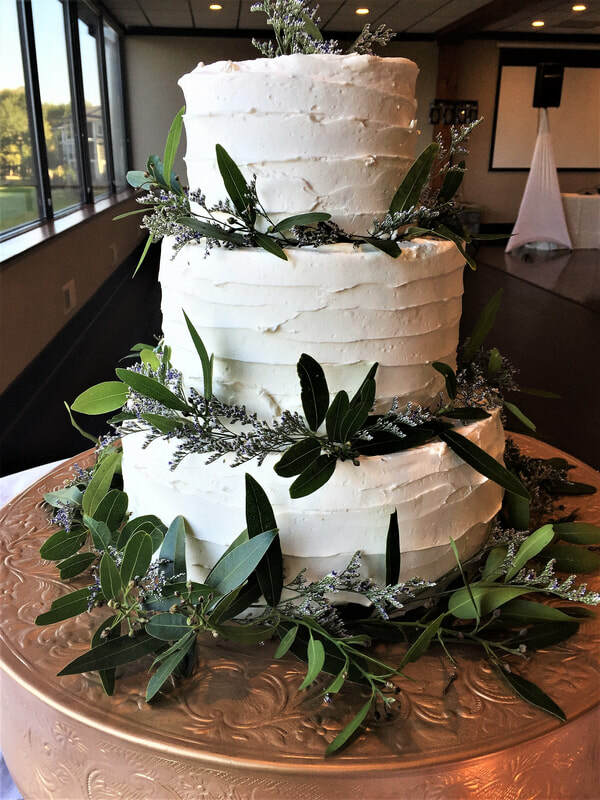 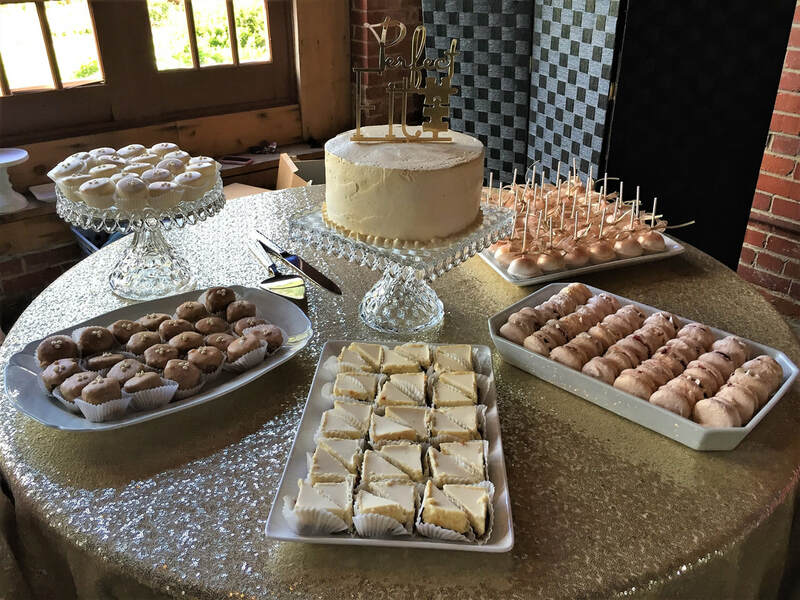 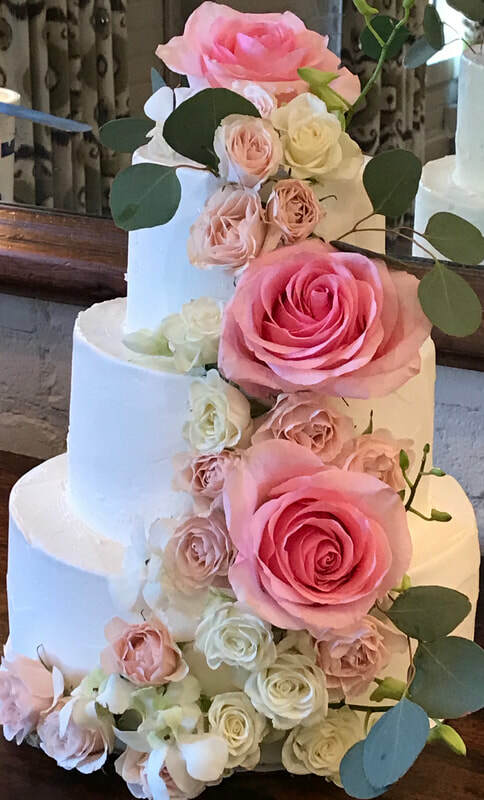 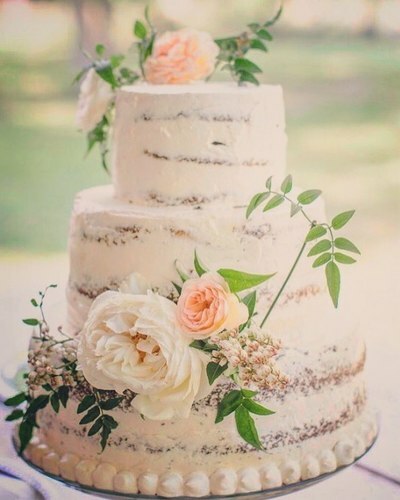 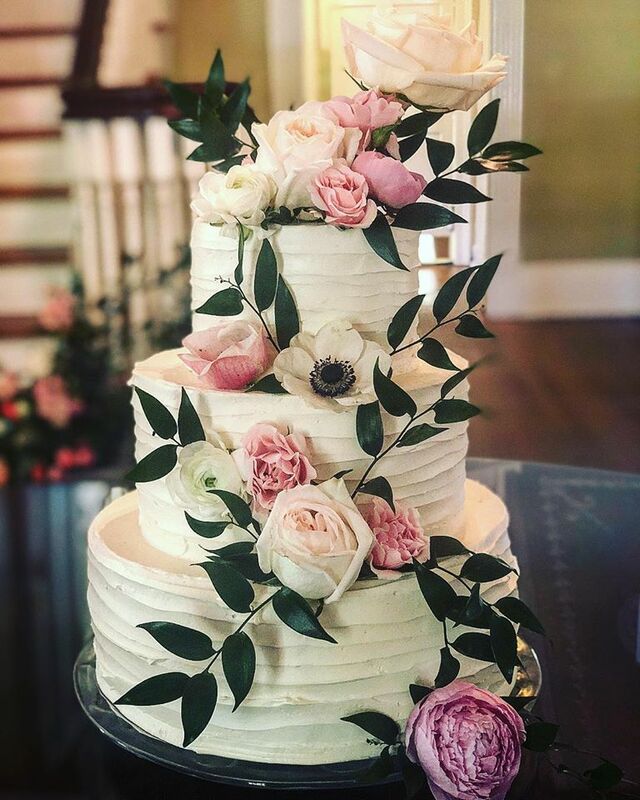 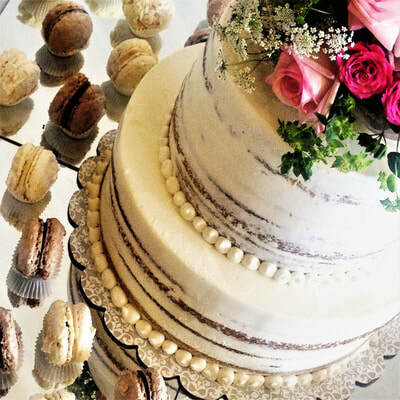 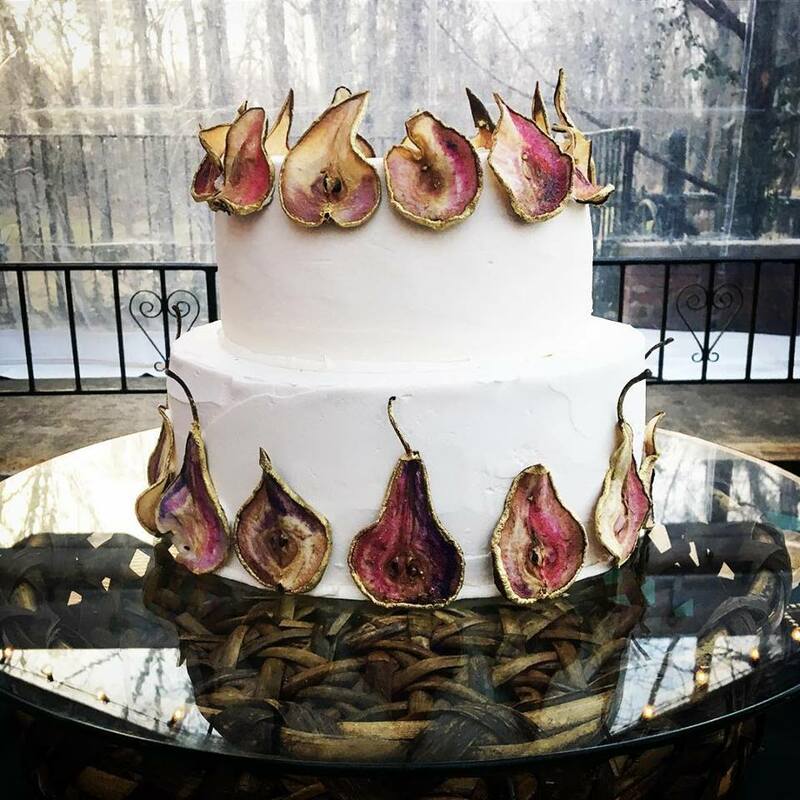 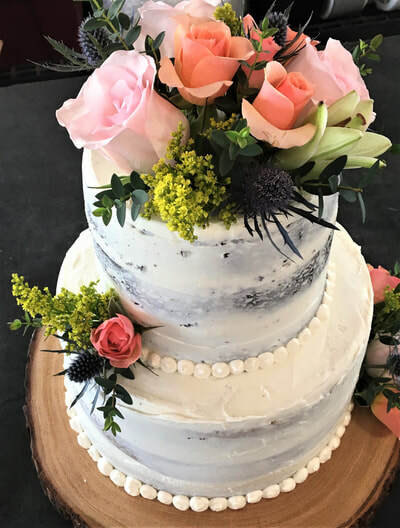 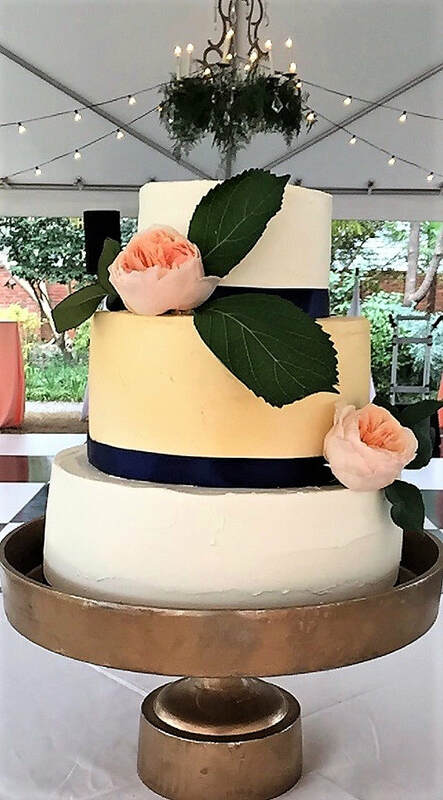 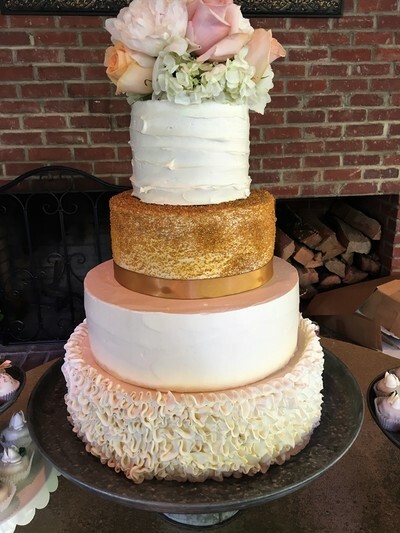 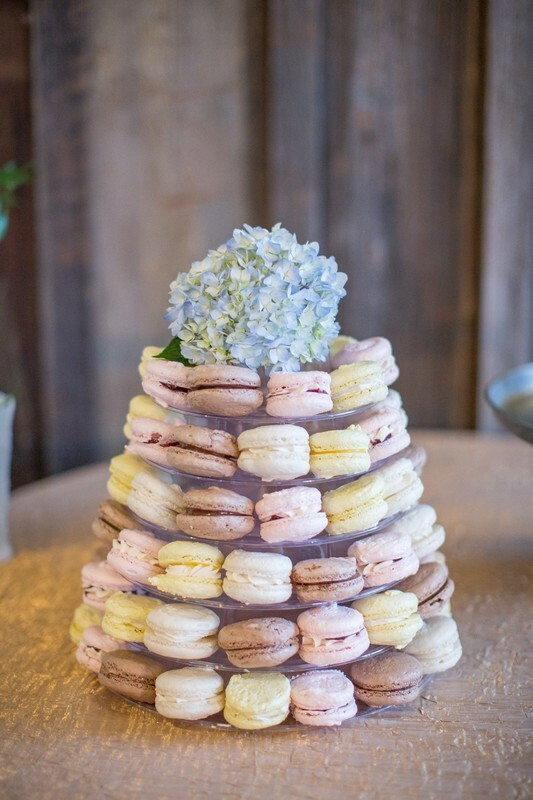 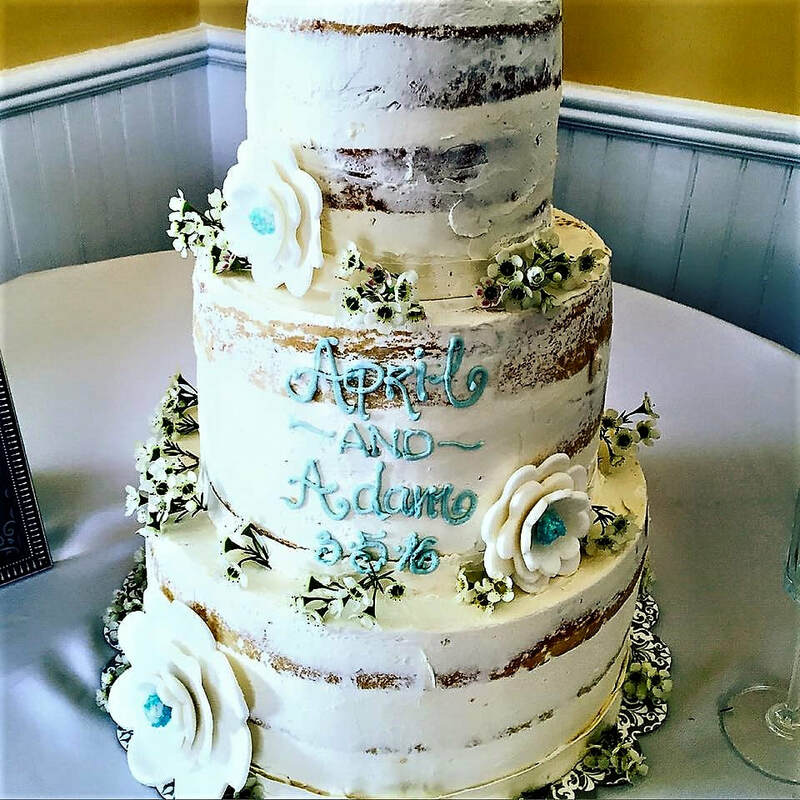 It wasn’t until a French pastry chef had the idea to a create tiered cake that the modern wedding cake began to take form. 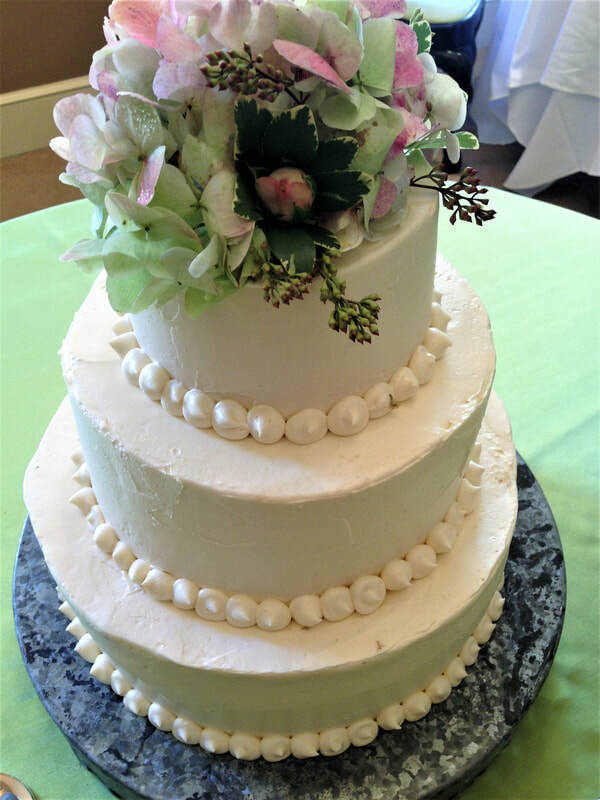 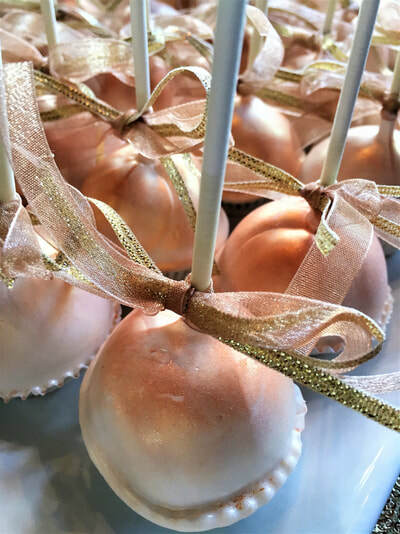 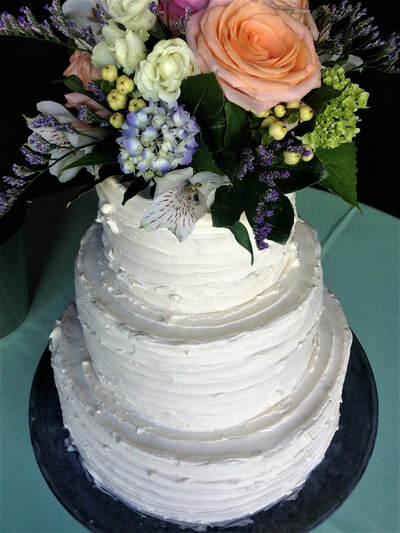 After this breakthrough, more and more people began experimenting with the frivolity of these cakes, including adding sugar and frosting and beautiful decorations. Thus, the modern, breathtaking, personalized wedding cakes that we know now have come to be a popular practice in today’s world. 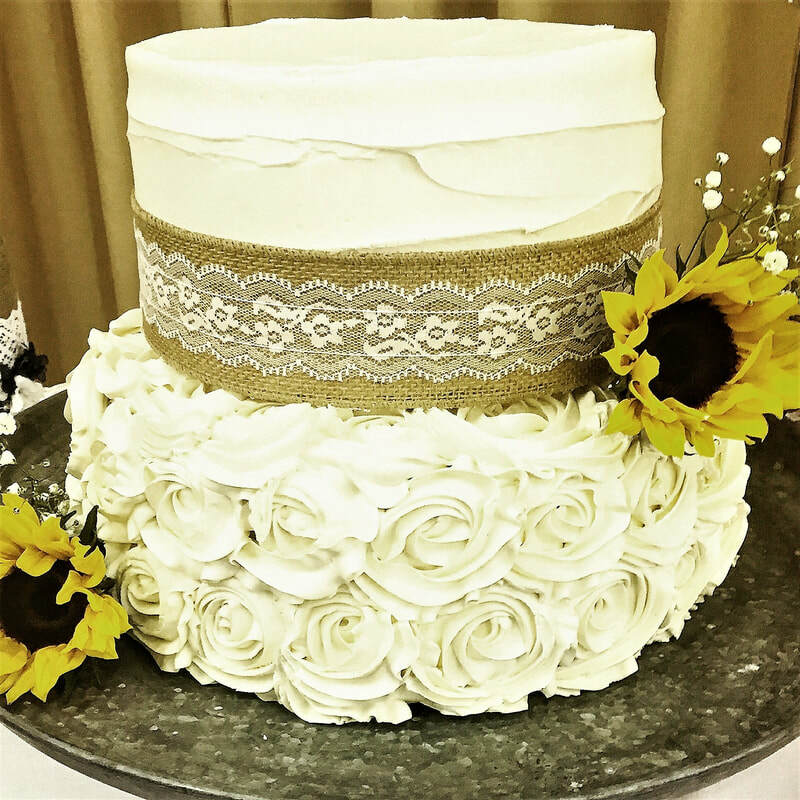 The tradition of breaking break over your head is over, now you can have your cake and eat it too! 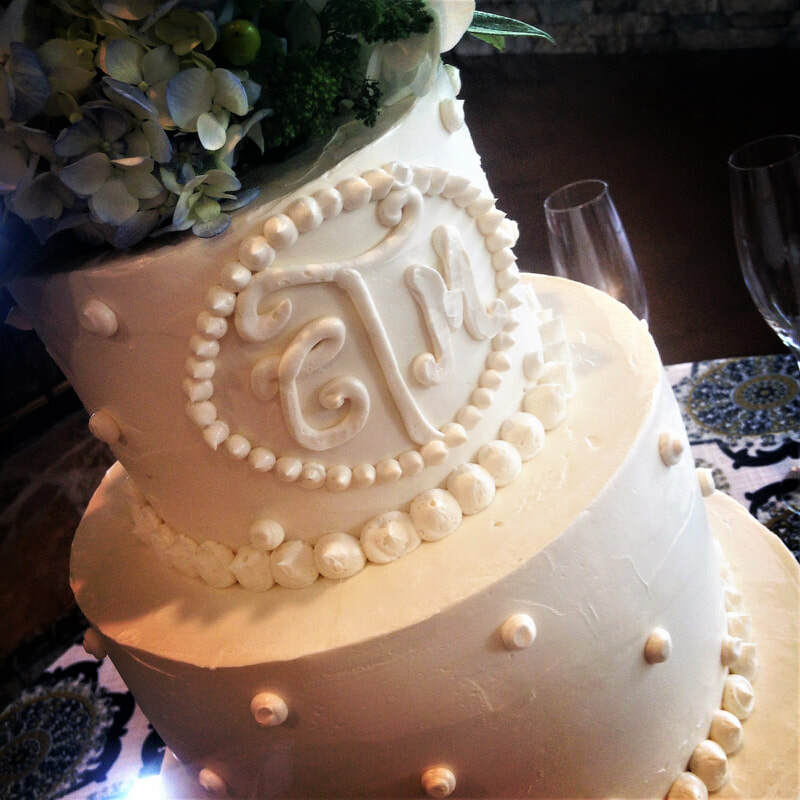 Email us today to discuss ideas and prices regarding your special day! We had a booth at the Bridal Expo this past January!